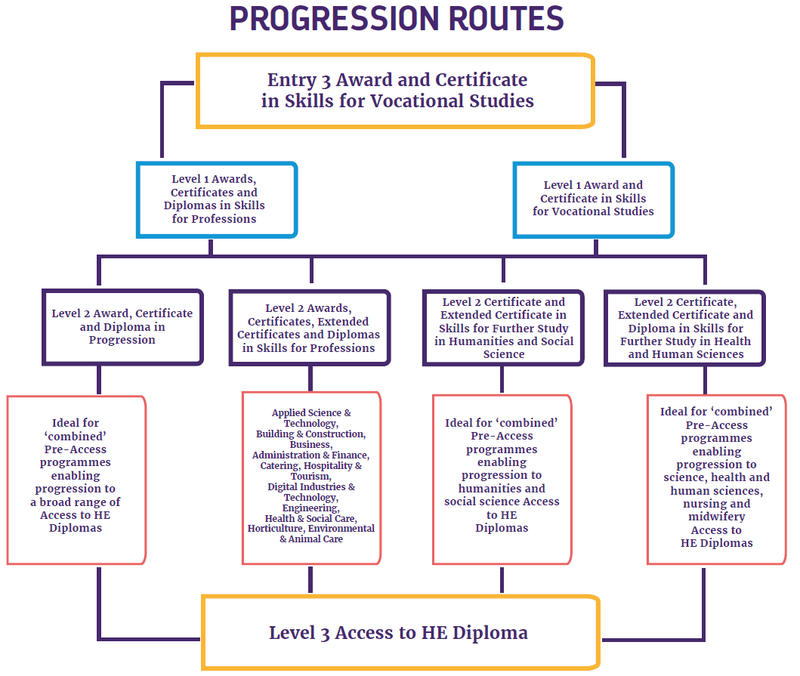 To support learner progression to Access to HE we offer a suite of off the shelf qualifications at Level 1 and Level 2. The entire suite of qualifications is eligible for Skills Funding Agency (ESFA) funding for 2017/18. You may also be interested in our new Level 1 Skills for Professions qualifications, which provide routes to vocational study. Please click here for more information.